Make My Donation Inc., a 501(c)3 non-profit US Corporation, is positioned to be a world leader in making charitable giving part of the fabric of the human spirit. 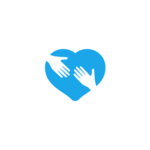 We work with mobile application developers and other strategic partners to bring donors and charities together, forming a financial bond that has changed the way charitable giving is made around the globe. Your support makes it possible for us to engage application developers around the globe dedicated to making giving instant, easy, social, affordable, and enjoyable. We now support both credit card donations and Bitcoin. Please make your selection below.